Join our podcasting chair Hannah Munro as she is joined by one of our fantastic Support Technicians from the itas team, Mark Armstrong. This week they will be discussing measures that can be put in place in order to give more control over what people can, and more importantly can’t have access to. This episode covers setting up roles by type of user whether in SOP, POP or just generally. Scion’s Audit trail comes under the spotlight in this episodes Add-on review. 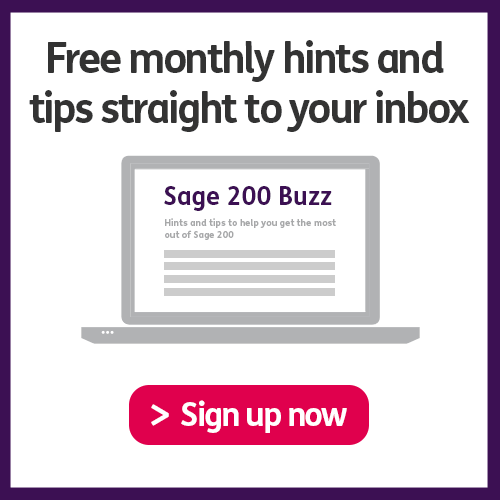 We’ll give you the inside information and explain just how useful it is to anyone wanting to track changes in Sage. To find out more about the Sicon Audit Log click here!